SeaWorld isn't really ending its killer whale show. Reports about the death of SeaWorld’s orca show have been greatly exaggerated. Some outlets greeted this news by declaring that SeaWorld was “ending” its killer whale shows. That’s really not the case. SeaWorld has struggled to fix the damage to its reputation done by the documentary Blackfish, which explored the company’s alleged history of mistreating its orcas. (Gotta put the alleged in there!) The public fallout from the film has been especially strong in California, where SeaWorld has found itself coping with both smaller crowds and antagonistic public officials. Last year, the company announced plans to build a much larger, $100 million environment for its whales in San Diego. But the “Blue World” project ran into a wall last month when the California Coastal Commission ruled that the company could only proceed with the construction if it also stopped breeding orcas at the park. 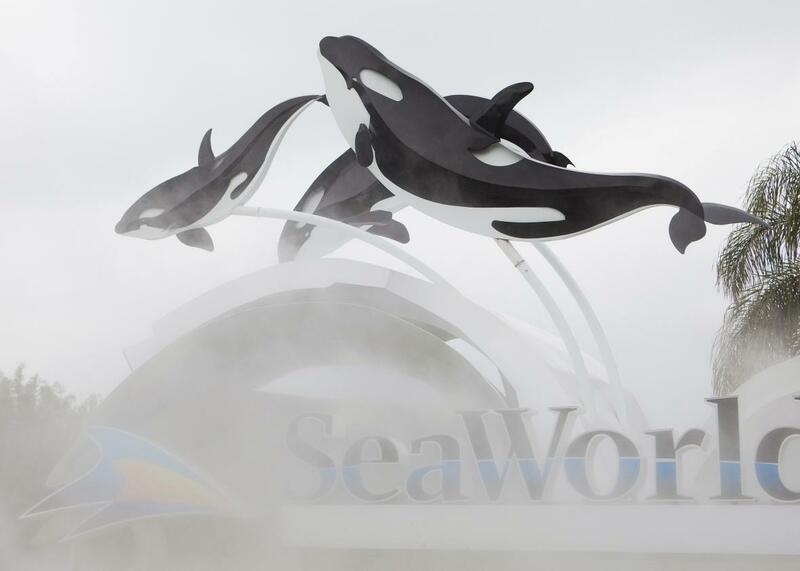 Seaworld says it plans to sue over the commission’s ruling. But in the meantime, it seems to be reaching for a more modest Plan B that might brighten its public image somewhat. Manby said that even if SeaWorld wins its challenge, it still might not proceed with Blue World and that he believes the company can improve the whales’ conditions “for a lot less money.” The new orca extravaganza appears to be part of that effort. What exactly will the more “natural” show entail? For starters, don’t expect to see a true-to-life replica of the Pacific Northwest or Arctic. They’ll take place in the same watery blue prisons the whales are presently swimming around in (in fact, Manby says the park has already tried versions of these more “educational” programs at night). Any capital expenditures to spruce up the tanks will be “minimal,” Manby noted. Aside from that, the shows probably won’t involve whales lifting their trainers into the air on their muzzles. But there will be whale dancing. Just naturalistic whale dancing. Guests say “that they want the orca experience to be activities that the whales tend to do in the wild,” Manby explained. “So they jump in the wild. They splash in the wild. But some of the other things that are perceived as trained tricks” are less appreciated by visitors and are probably going to be eliminated.